Why Do Farmers Farm? | Millennium Research Inc.
For the first year in many, I had a garden last summer. The details aren’t pretty. Suffice it to say, I would not last long as a farmer. My planting was poor, my irrigation sporadic, and while my weed control was pretty good, it was not enough to overcome my other shortcomings. I did have a good harvest of onions and tomatoes, and the potatoes tasted good, but they didn’t last more than a meal or two. 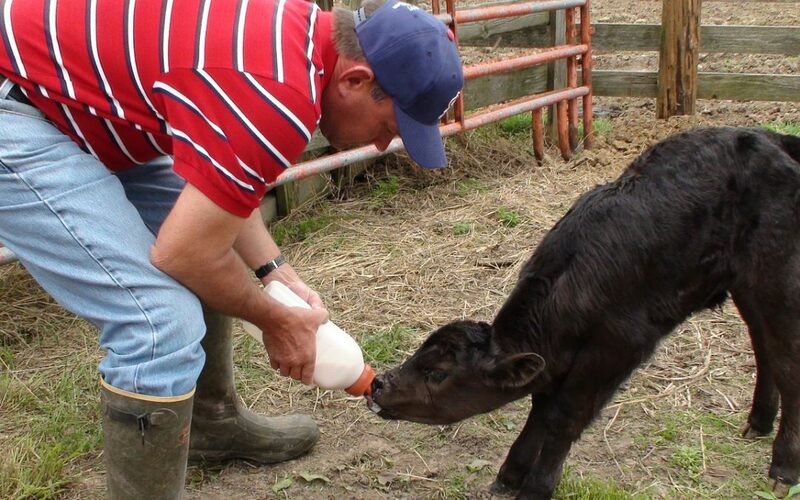 I’ve always admired farmers, but that experience made me love them even more. I like eating produce I have grown myself, but I also like the amazing plenty that stocks our grocery stores and can arrive at your doorstep with a couple clicks of the mouse. I don’t think many (any?) people realize that, besides knowledge, dedication, and perseverance, it takes a lot of love to bring food to market. Farmers will tell you that they have to tend their crops as if they were babies: plant them carefully, feed and water them, and protect them from as much harm as they can. Cow-calf men wax poetic about the eyes and eyelashes of baby calves, crying if the weather is too cold and if the baby calf doesn’t make it. They work their heart and soul for 20 hours at a time to keep the babies safe and warm, waking up in the middle of the night to walk out in the dark to check on expectant momma cows. Yes, these crops and livestock are their livelihood, and mean money, but money alone is not enough to justify the risk, the work, the sacrifice. Only love asks for that much, and only love answers the call. Get our news and updates by email. How do you make the customer journey a treat for everyone? Are You Asking Farmers the Right Questions to Connect? Are You Giving Farmers the Information they Need? Why Are Farmers Killing themselves in Record Numbers? Are You Moo-ving Clients with Audio Branding? Can Emotions Impact a Farmer’s Purchasing Decisions?